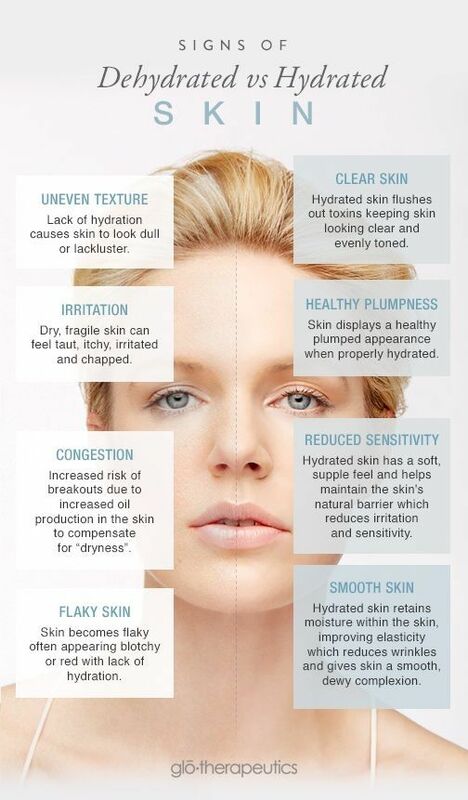 Dehydrated skin means when it lacks moisture and skin feels irritated, tightness, Flakiness and itchiness. It is caused by external elements, unhealthy diet and lifestyle choices. It deplete your skin’s water content, resulting in a less supple appearance. Hydrating your skin means replenishing lost water. To proper skin hydration drink plenty of water, avoid excess sun exposure, and eat lots of moisture-rich fruits and veggies. 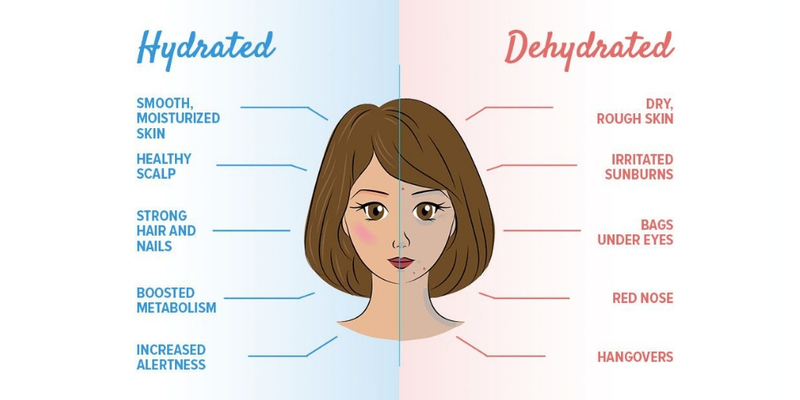 Check out the infographic by “glo.theraputics” below to know more about the dehydrated and hydrated for skin. Eat more plant-based foods, such as fruits, vegetables, and legumes. It promote younger looking skin. Drink water while you work out. It helps keep your skin hydrate. Protect yourself from the sun. It cause wrinkle, age spots and other skin 5.problems as well as increase the risk of skin cancer. Drink less coffee and other sources of caffeine. Exercise regularly and get plenty of sleep. A healthy skincare routine and healthy lifestyle choices, such as drinking plenty of water, eating organic foods, and regular exercise will help your skin refresh itself naturally.